We are all different. No two of us are alike! Even identical twins have differences, despite genetically being the same! Our differences are our strengths! Each of us with our unique gifts and perspectives contributing as only we can to bring Love to this hurting world! Never be ashamed of what makes you special! Be proud of the YOU God has created you to be! We need you to be YOU as no one else can take your place or fulfill your purpose! No one else can complete your special mission in this life except YOU. Our souls are each a special color, unlike any other on the spectrum! We are each a ray of beauty… yet together we are more! Together we create a rainbow that can inspire and heal an entire generation and provide Peace, Hope and Love to the generations to come! 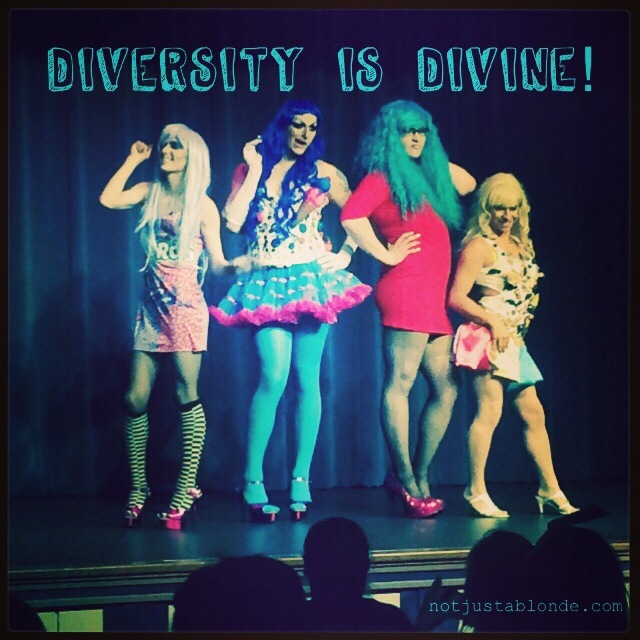 God loves everyone no matter their hair-color, gender, orientation, religion, or race! I believe God celebrates each of us for the unique creation we are! Diversity is Divine! Yes, let us celebrate both our likenesses and our differences, because these form the rich patterns of our relationships with other people. Something which has been on my mind recently has been the way that we think we know someone, but then some new trait in their personality is revealed and we view them differently. One example is a very well known soccer player in UK, who was renown for his loyalty to his club, which he had served for more than 20 years, but then it was suddenly revealed in the press that he had betrayed his wife, more than once and most shockingly with his brother’s wife. By contrast, recent posts on Jesus Without Baggage led me to see that Paul, whom I had previously thought as very humorless and austere, had a sense of humor. I guess what this really shows is that we do not really know many people well, and even when we think we do we may not know everything about them. I suspect that God wants us to take off our masks….to ourselves. We all have defenses against our past that cause us to deny what we know to be true about ourselves. Only when those defenses are down do we become free enough for God to use us to our full potential. True humility is to surrender ourselves completely to God and be willing to do whatever He wants us to do. Another reply, stimulated by your third paragraph. We now know that all life came from a single lifeform that God created on earth and that all other life has evolved from that first single example of that one lifeform. The mindblowing thing is that all of us are the descendants of that first unit, and that the life that God created in that unit still lives in us. In one way, we are, as yet, immortal. Also, we are related to that oak tree, or that butterfly, or that cat! Truly a rainbow creation – all possibilities that have ever lived encoded in that first unit (plus billions of others that might have been). Beautiful thoughts come from the Beautiful One. ← Not Just A Blonde is One! Happy Anniversary!